Post Cleaning - Beacon Carpet Cleaning, Inc. 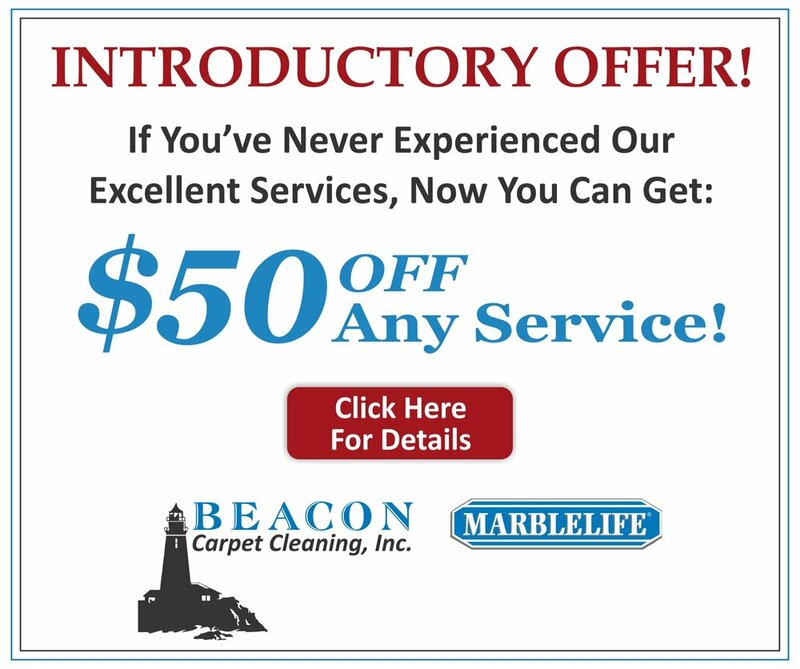 Thank you for using Beacon Carpet Cleaning, Inc.
We trust that our services have exceeded your expectations. Should you have any questions about our services or any of our terms and conditions, some of which also are listed on our website, please do not hesitate to contact. CAUTION - Walking from a wet carpet onto a hard surface can be very slippery! Please put a rug or towel on hard surfaces as a reminder. For health & safety, keep children & pets off recently cleaned carpet for at least 4 hrs or until completely dry. Most of the drying & Fiber Protection penetrating dye sites of the carpet, takes place in the first 4 hrs. Carpet drying time can vary widely due to density of your carpet, humidity & the degree of soil. To speed drying, minimize traffic on the carpet, ventilate the area as outside weather allows, (not during rain or hot / humid days) & increase air circulation. Carpet drying time may vary from only 4 hrs under ideal conditions to 24 hrs in wet winter months. If Fabric Protection was applied post-cleaning, drying time may be lengthened but still should be dry in 24 hrs. If a Beacon Carpet Cleaning, Inc. technician finds on your premise, or reasonably believes he/she has found, hazardous waste, harmful materials (ex. asbestos or mold), or the presence of other materials that will necessitate additional services such as the presence of a substantial amount of powder carpet freshener, adhesives, or other cleaning agents, chemicals or materials, the Client understands that the presence of these materials will require additional cleaning costs and potentially multiple cleaning visits. Client agrees to assume all costs of additional steps to clean or otherwise address such condition. Client understands that these additional treatment costs are not part of your initial Estimate or Invoice. Client must remove breakables & personal items of irreplaceable or high value from the service area and, for safety, client agrees to notify Beacon Carpet Cleaning, Inc. and its representatives of any special moving instructions for all items on premises such as broken or unstable furniture, etc.